(William Wordsworth, "Ode: Intimations of Immortality"). I am obviously on a literary artsy streak. This image was part of a week long editorial that I shot in Port Townsend, WA, loosely based on fairy tales imagery. Not quite shooting " John Huston's African Queen", but the talent and crew had to walk through marshes and tall grass, fight mosquitoes, small snakes and the customers of Fat Smitty's bar. 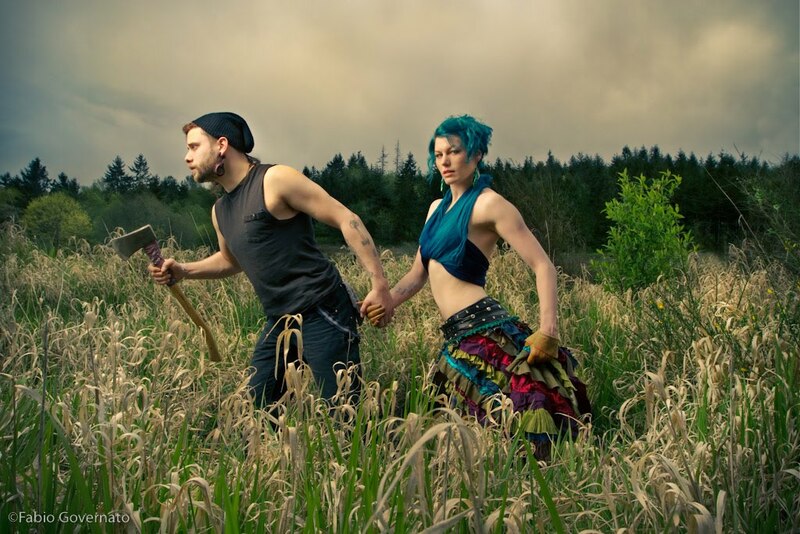 Singer and dancer Kristin "Finn" Von Claret, and Chance Koehnen modeled. I had scouted the location in February, and by this time the old tall grass was being replaced by new green offshoots. The cloudy weather created a nice atmosphere. We shot at noon, but I had brought the big guns to overcome sunlight. a Profoto 7B pack, two heads, a sofliter II (as fill) and to camera left the giant umbrella+diffuser from Alien Bees (which worked flawlessly). The sun was to the right. Shot at f14, 1/160th, ISO 100 and using the 16-35mm Canon lens that I really like. Having a decent amount of watts/sec helped. The post production editing was somewhat laborious to get the grading right. In order: reduce contrast/desaturate/add gradient masks to the sky and grass close to the fill light/minor retouching of the talent/re-adding contrast were needed/curves/adding a blue-yellow palette later and masking it appropriately. Final adjustments in Lightroom. I will make a large print tomorrow!